The 1968 Project aims to highlight some of the historic events of the year. From protests and famous battles to chart-topping popular hits and box office smashing film, 1968 was a huge historical year with reverberations that we still feel today. The 1968 Project looks to grab snippets of these events on a monthly basis and list them here with links for further exploration. The debut novel from Jeffrey Hudson (aka Michael Crichton), A Case of Need, is published. 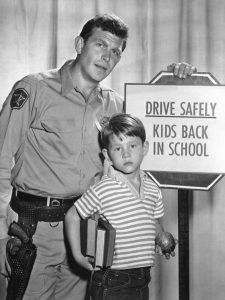 The 249th and final episode of The Andy Griffith Show airs on television. Publicity photo of Andy Griffith and Ron Howard from the television program The Andy Griffith Show. The photo was to remind people when the show would return to the air with new episodes and to be careful driving because it was now school time. Planet of the Apes and 2001: A Space Odyssey both premier. Simon and Garfunkel release their album, Bookends. 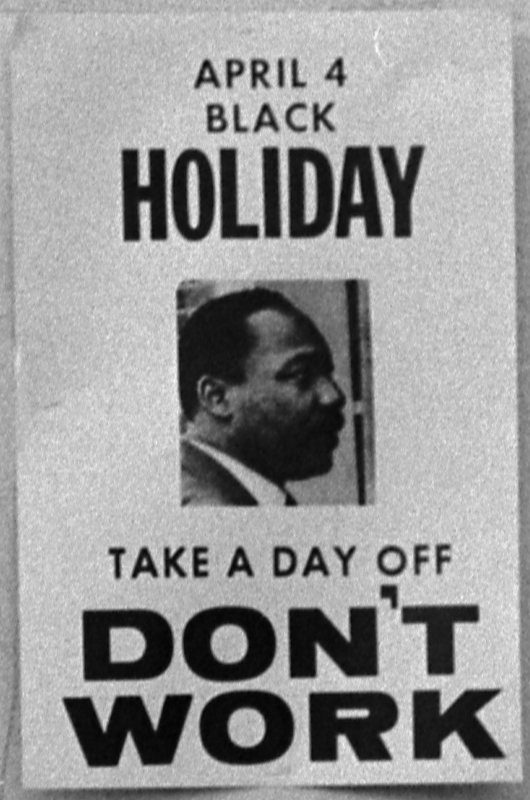 Dr. King is assassinated on the balcony of the Lorraine Motel in Memphis, Tennessee. 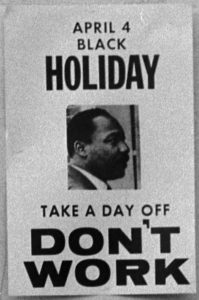 Postponed due to the assassination of Dr. King, the 40th annual Academy Awards ceremony takes place at the Santa Monica Civic Auditorium. Rod Steiger wins Best Actor for In the Heat of the Night. Best Actor in a Supporting Role goes to George Kennedy for Cool Hand Luke. Katherine Hepburn wins Best Actress for her role in Guess Who’s Coming to Dinner. The award for Best Actress in a Supporting Role goes to Estelle Parsons in Bonnie and Clyde. Mike Nichols wins Best Director for The Graduate. The Best Picture winner for 1968 is In the Heat of the Night. President Johnson signs the 1968 Civil Rights Act. 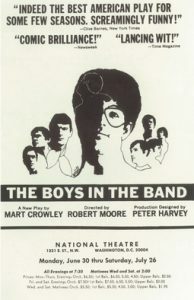 Off-Broadway at Theater Four, Mart Crowley’s play, The Boys in the Band premiers. Reviewer Clive Barnes calls this play the “finest treatment of homosexuality I have ever seen on stage.” It is one of the first plays to avoid many of the conventional gay stereotypes for a more complex psychological treatment of the play’s various gay characters, brought together for a birthday party. This is a poster for The Boys in the Band. The poster art copyright is believed to belong to the distributor of the film, the publisher of the film or the graphic artist. Fay Bainter, stage and film actress passes at the age of 74. Edna Ferber, author, passes at age 82. The Zombies release their album, Odessey and Oracle. Pierre Trudeau is sworn in as Canada’s 15th Prime Minister. Fortyseven years later, his son Justin, becomes Canada’s 23rd Prime Minister. Rosencrantz and Guildenstern are Dead wins Best Play at the 22nd Annual Tony Awards. Hundreds of Columbia University students, protesting the Vietnam War, take over several administration offices at the University. The protests shut down the school and are not broken up by the New York Police Department until April 30th. Sly & The Family Stone release their album, Dance to the Music. Booker T & The MG’s release Doin’ Our Thing. 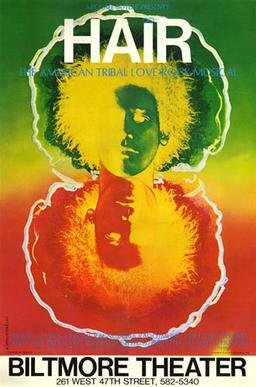 The premier of Hair: The American Tribal Love-Rock Musical, is performed on Broadway. The poster art copyright is believed to belong to Michael Butler, the original producer of the musical or the graphic artist. Be sure to come back at the end of next month for events from May 1968!